To some, she's just a folktale. 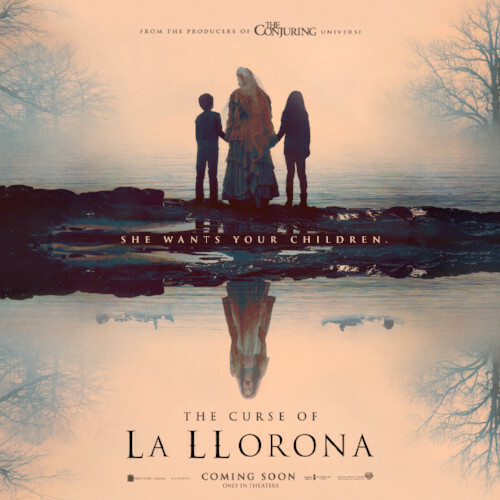 We're pleased to share with you the brand new terrifying trailer for The Curse of La Llorona, the latest New Line Cinema horror from the team who brought audiences The Conjuring Universe and IT. La Llorona. The Weeping Woman. A horrifying apparition, caught between Heaven and Hell, trapped in a terrible fate sealed by her own hand. The mere mention of her name has struck terror around the world for generations. In life, she drowned her children in a jealous rage, throwing herself in the churning river after them as she wept in pain. 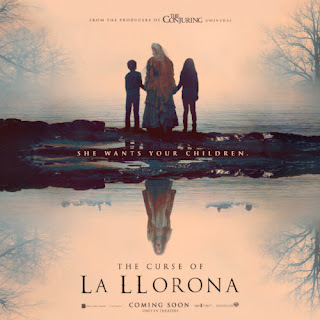 The Curse of La Llorona, which is set for release May 9th, is produced by Emile Gladstone, Gary Dauberman who brought you “IT” and the “Annabelle” franchises, and James Wan of “The Conjuring” Universe. Michael Chaves, who won Shriekfest’s Best Super Short Film in 2016 for “The Maiden,” makes his feature directorial debut.